Our 2nd wheaten called P.S.. I Love You From Kizzy’s Paradise aka Paige. She is from the 2nd litter combination of Poirot and Bobientje. Born on June 11, 2016. Paige is grow up from a puppy to a beautiful and sweet wheaten. Alert and loves to play in the garden and on the swing. From the third weekend of November ’16 Paige makes here debut in the show world and got many lovely words from the judges and she became already a Multi Youth Champion, in the Netherlands, Belgium, Switserland, so now we hope she gonna be a “Adult” Champions in the future!! She also was qualified 3 times for the Crufts 2018. 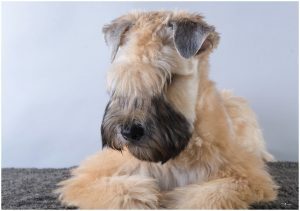 And in the Wheaten Top 10, of the Breed Association “De Wheatens” she become 1e place and that amazing because she still was a youth dog in 2017!! At the Crufts 2018 won Paige Third place in the Yearling Class! 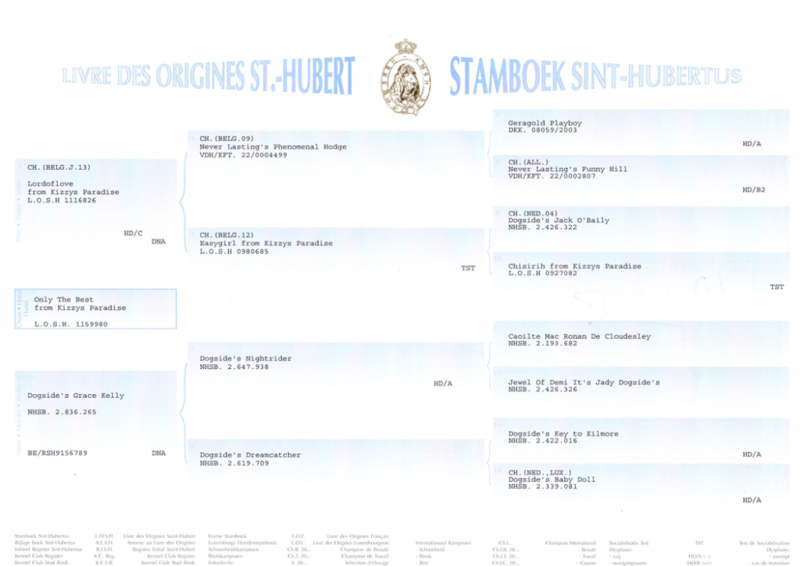 She becomes in May ’18 Luxembourgs Champion at the age of 22 months. En won the Cruft Qualifications 2020 in Groningen. And at the Antwerp Winner show she was selected to the last 6 Best In Group (Breed group 3: Terriers). 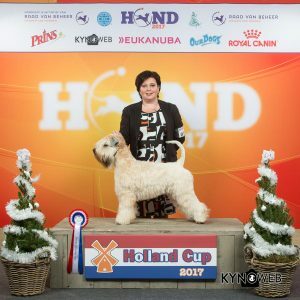 At the Wheaten Top 10 (2017) of the Breed Association “De Wheatens” she won the 1e place. 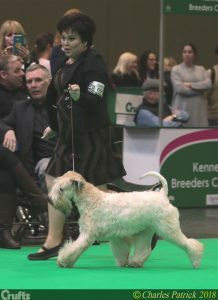 At the Wheaten Top 10 (2018) of the Breed Association “De Wheatens” she won the 3th place.